So far, I've had an amazing weekend. You guys already know about friday, but let me tell you about the rest. Saturday I cleaned and relaxed, then at night Alex and I met up with Allyah and David and hung out with them. Sunday/today Alex and I spent most of the day in a tree. We brought a picnic - I made baguettes with mozzarella, smoked salmon and grape tomatoes, it was soo good haha. 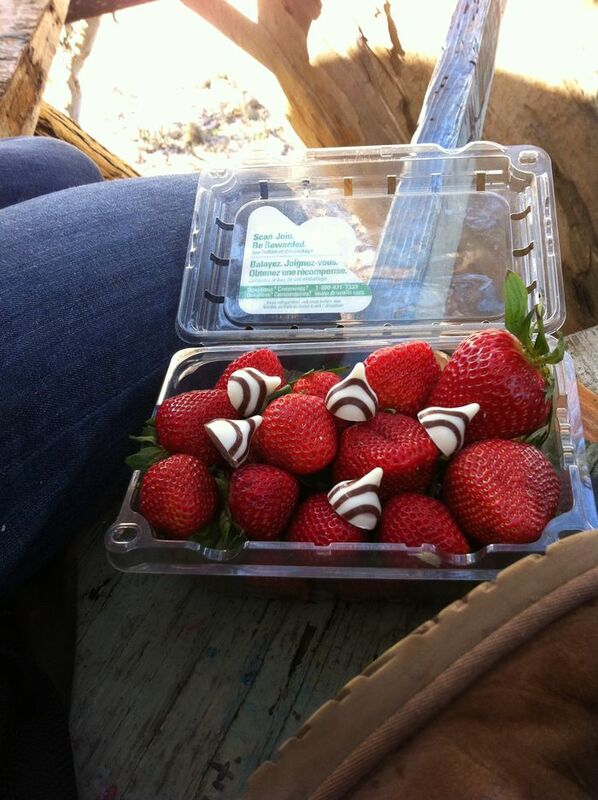 We also had strawberries and Hershey's hugs (chocolate my little swedes) and we felt very romantic, hihi. Later we haad dinner with my host parents, and then we went into SLO and saw the Lego movie! Haha it was actually really good, really funny. Definitely recommend it.